As gardeners, we love our plants and want plants the will survive and thrive in our garden. The good news a shady garden can mean fewer weeds because of less light and less watering since the soil tends to stay moist for a more extended period of time. By choosing the right plants for shade, the shady areas of your garden can become a favorite in your garden. When choosing your shade-friendly plants, remember that with a lower light level it makes things appear smaller. Make your borders deep and go bold. 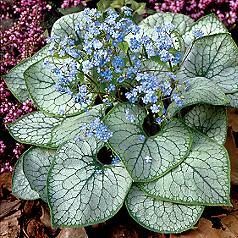 You want to look for bright plants that vary in both shape and leaf textures. 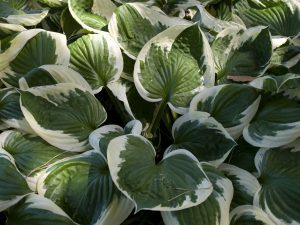 Silver and white are excellent choices for the shade garden they brighten and add drama. Some favorites are the Jack Frost Bugloss and the Japanese Painted Fern. Few colors instantly brighten the garden like golds and yellows. 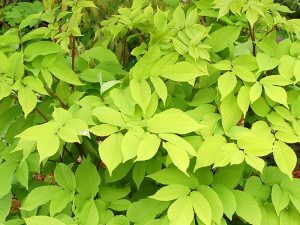 Some favorites are the Sun King Aralia and the Japanese Forest Grass. 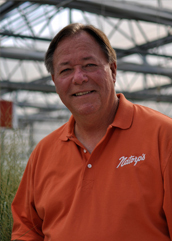 With so many shade-friendly plants, a great resource is to visit Natorp’s Online Store where you can search by shade and color preferences or visit our horticulturalists to help you create a beautiful shade garden.